Millennial Rachael Hogg, mum Erin Baker, and racing driver Vicki Butler-Henderson (REV... get it?) 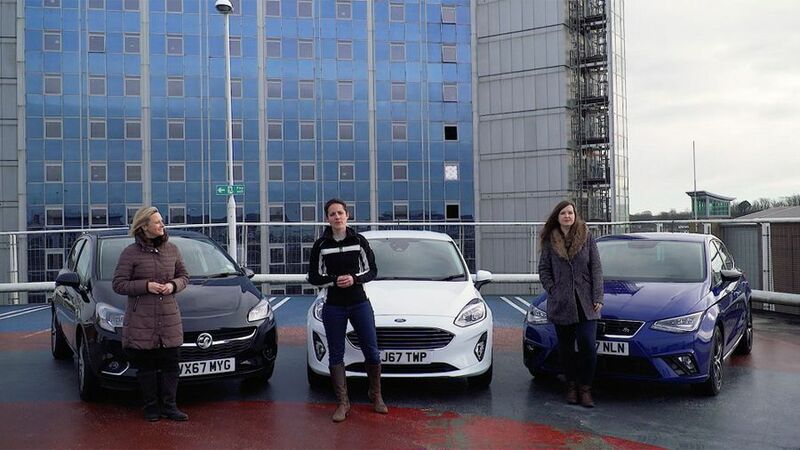 are testing three of the UK's most popular small hatchbacks, based on how people search for them at Auto Trader, and with a monthly PCP price of around £250. This week, the competition is fierce, and it's a three in three for cars with rear wind-down windows! This test features three big hitters: the UK's biggest selling car ever, the Ford Fiesta; a serious contender for the Fiesta crown, the Seat Ibiza; and the Vauxhall Corsa, which will be getting an upgrade next year.